23 teams from secondary schools in Kuching have signed up for i-RACE 2012, a fun-packed educational competition organized by INTI College Sarawak to promote awareness of the tourism industry in Sarawak and its contributions towards the development of the state’s economic and social landscape. Endorsed by the Sarawak Tourism Board, i-RACE 2012 incorporates Sarawak cultural elements and is open to secondary school students who are currently in Forms 4, 5 and 6. The preliminary round kicks off on Saturday, July 7, 2012 at INTI’s campus at Jalan Stampin Timur in Kuching. The final will be held on July 21, 2012 at the Hilton Kuching. Attractive prizes await the winners and all participants will receive a Certificate of Participation and a goody bag. Ivy Lau, Chief Executive/Principal of INTI College Sarawak (4th from right) and Michelle Liu, Organizing Chairperson of i-RACE 2012 (3rd from right) with members of the i-RACE 2012 Organizing Committee. 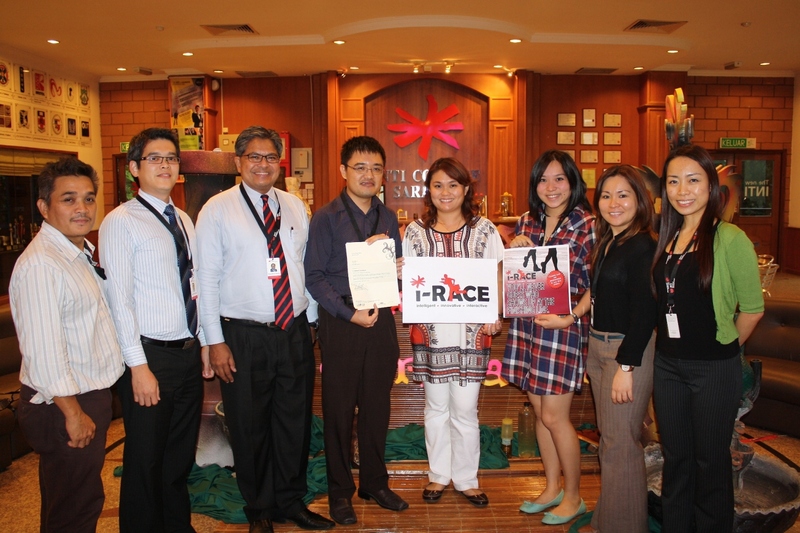 Sponsors for the i-RACE 2012 include Hilton Kuching, Boulevard Shopping Mall Kuching, MPH Bookstore (Kuching), POPULAR Bookstore (Kuching), MBO The Spring, and many others. “The endorsement by the Sarawak Tourism Board and the tremendous support from our sponsors will go a long way in our joint role in enhancing the intellectual development of the younger generation thereby contributing to nation building,” said Ivy Lau, Chief Executive and Principal of INTI College Sarawak. Members of the public are invited to witness the excitement of i-RACE 2012. For further information, please call 082-570888 or visit INTI College Sarawak at Jalan Stampin Timur in Kuching.